Doesn’t anyone have a quiet weekend anymore? 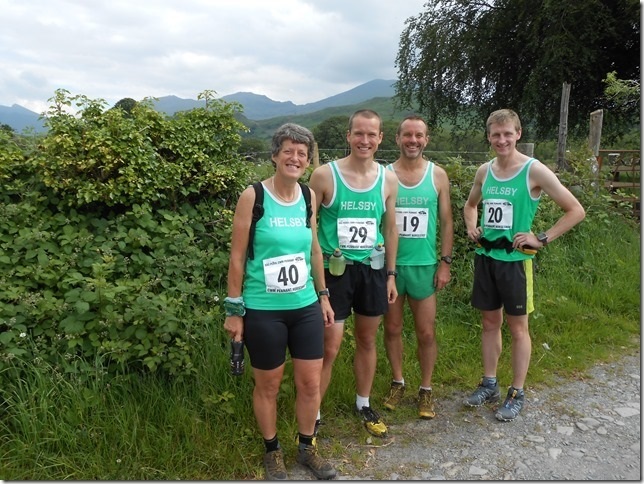 Trail up the Beast was our fourth fell counter and first Inter-Clubfell race on Tuesday 10th June. Looks like 23 were out for Helsby which is a brilliant turnout and leading the field home were Jimmy and Jane for full club points. Not sure who won at the prize giving so please let me know as I can update the blog accordingly. I do know Tom DeJong was first Under23 so well done to him. Helsby positions and times as below. 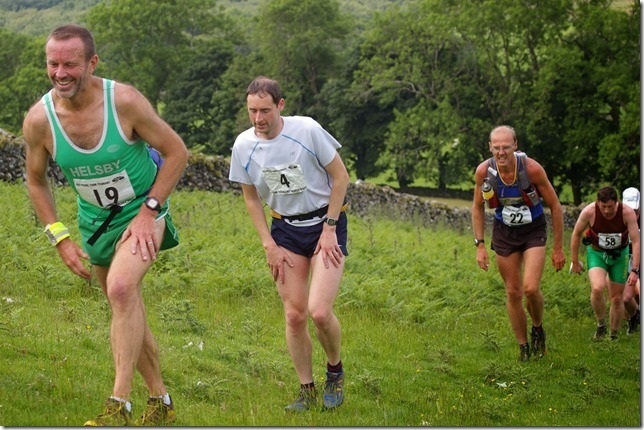 On Wednesday Jim Jones was out at the Holcombe Two Towers fell race, his 2nd race in two days! Our 2nd claim runner Jamie Dowdall also had a great run at this race. For full results and map please see links below. Not content with 2 races in 2 day, Jim headed to the Walsh Two lads fell race for race number 3 in 3 days! Saturday 14th June was the Delamere Park 5k where seven Helsby runners were out. 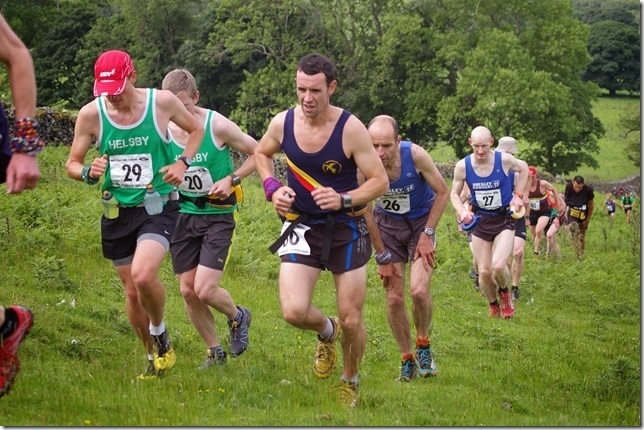 Tom DeJong was first Helsby man home for a new course PB and Jim Jones was in the top ten. Louise McEveley was first Helsby lady home. It was the rescheduled Hollins Green 5k on Saturday with according to Andy Smith “A bit of light relief for some after the Sandstone last weekend, a fast 5km on the road. Full results and details as below. Also on Saturday was the Whinlatter Forest race incorporating the Eurpoean Championships Trial and Race 2 of the UKA three race Mountain Race Challenge, where our very own Elite athlete Jayne Joy ran a great race to finish 7th overall in a superb field and to feature in the prizes. For more details and full results please see the website below, a fantastic achievement I’m sure you will all agree. Many thanks also go to Joe and Mario who gave some great support on the day, very much appreciated from Jayne. Ras Pedol Cwm Pennant Horseshoe was an inaugural race in the North Wales Fell Series also on Saturday, a particularly tough race by all accounts. Jim O’Hara continues his good form to be first in for Helsby on the day. “On Saturday Jimmy, Chris, Jackie and myself made our way to one of the remotest and beautiful valleys in the Snowdon range for the Cwm Pennant race, clocked as 15.6 miles and 6000 feet. 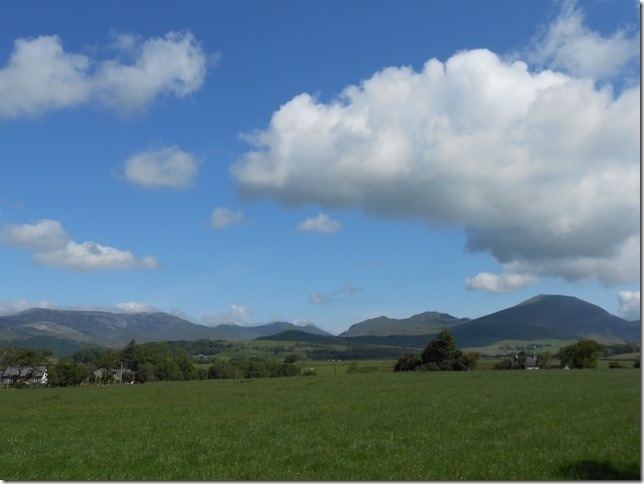 The route is a classic with a fairly flat run out to the first climb up Moel Hebog, followed by some runnable undulating work to visit Moel Ogof and Moel Lefn. The route down to Bwlch y Ddwy-elor via Bwlch Cwm Trwsgl is the most challenging navigation but rewarded with the sight of a checkpoint with water and Bill Keasley taking photos (Bill is not a permanent fixture, he was only there for the race). Time then for the climb up to Trum y Ddysgl and onto the next part of the ridge which goes over an edge and a climb over a Jurrasic Park like landscape onto the plateau of Craig Cwm Silyn which is a fairly runnable until you reach the summit of Garnedd Goch and then down a quad burning heather & boulder infested descent off Cwm Ciprwth. So far we have had grassy and rocky ascents and descents, mountain and trail like tracks but no road, well don’t be disappointed, there is a 3km section of tarmac to finish, what more could you ask. “Jimmy, Chris, Phil & I made the journey to Cwm Pennant on Saturday for this gem of a long race, 4th race in the WRFA series. The weather was kind, sunny spells, a pleasant breeze and clear all the way around for slower runners (i.e. me!). A very well organised race with plenty of cheery marshalls at all 10 checkpoints with smiles, encouragement, mars bars and jelly babies and 2 essential drinks stops. The words of a Dark Peak runners blog (tested to destruction) sums it up. So. What a race. It has it all. Steep ascents. Steep descents. Crazy no-path nightmare heather bashing, excellent views, scrambly bits, runnable climbs, non-runnable climbs, sneaky local lines and an horrific final section along the road. Sunday saw 7th road counter of the current season for the Sport in the Port 10k where Helsby’s Derek Morris took full honours in a superb sub-40 race. Well done to Louise for first Helsby lady home to take the full points. Results and other details on the link below. Moel-y-Gamelin on Sunday saw Jim O’Hara and Jim Jones out for the club but I’ve not found the official results as yet. I’ll post on the blog once available. Next weekend is the Helsby Community Sports Club Workforce weekend. Thanks to those who have said they can get come along to help; we are up to 15 runner volunteers so far. Please come along on Saturday morning 21st June, 9:30 onwards, or asap after the Park Runs. I will know more after this Tuesday’s workforce meeting, but tasks runners will be involved in are deep cleaning and painting the ladies’ shower room and loos, moving our 4 Villages Race store to the alcove in the TV lounge, plus more painting & cleaning in and outside and landscaping the front of the club! So please bring along your sense of humour, work clothes, scrubbing brushes/buckets/clothes/de-grouter tool/cleaning equipment. John G will bring his tools to build the new store. Petrol strimmers and gardening tools (just in case). Painting equipment will be provided. annual presentation evening (the 2013/14 awards in road, fell, cross country and Border League have now been determined and include lots of you!) So please come along; you may have won an award! and finally a disco; Chris & Tim Igoe will put on some dancing music for us! Following the Mynyd Mwfr hill race Monday morning, by 1.00pm we were pleasantly informed that Andy Robinson has followed in Chris’s footsteps and successfully completed the Bob Graham round in 23 hours 37 minutes. Magnificent achievement by Andy and he’ll be doing report for the Helsby blog shortly. Congratulations to Andy from all at Helsby! Monday morning saw our yearly pilgrimage to quiet Trefonen near Oswestry for the 4 mile Mynydd Myfyr.hill run. Helsby ladies were able to steal the show with 1st and 2nd places from Jayne and Jane but not to be outdone in the prizegiving was Helen Moss for first in her age category and Jackie Keasley also. Great to see Betty testing her hill legs too. Although there were some lovely flowers on display it seemed like the Welsh whiskey was a better choice for the ladies winner. Adair, Phil and Robbie were the male contingent. Many thanks to Joe, Mario and Rachel for support during the run with Rachel out supporting her son who had a stunning run to pick up a cash prize as first Junior. Having a look at the Oswestry Olympians site I’ve just noticed that the Lake Vyrnwy race September 9th, which is one of our club counters is already full. I’ve missed the boat on this particular race but fortunately some Helsby members were a bit more on the ball! Joe also surprised everyone by bringing his torch in honour of his good friend Doug Morris and luckily Mick Charman was on hand to capture some photos. Tuesday night saw the Thurstaston Multi-terrain challenge now run by Pensby Runners. Over 70 people were out for this event that has been in early May in previous years. We didn’t have a delightful sunset like in previous years but did miss the worst of the rain during the run. Jayne Joy doubled up on two wins in two days showing that form is temporary but class is permanent. Adair, Colin and Adrian and Albert were also out to enjoy the night. (I’ve picked up a Helsby vest btw, presumably Albert’s?). Many thanks to Joe out on course, on the beach and on the Wirray Way for the run in.